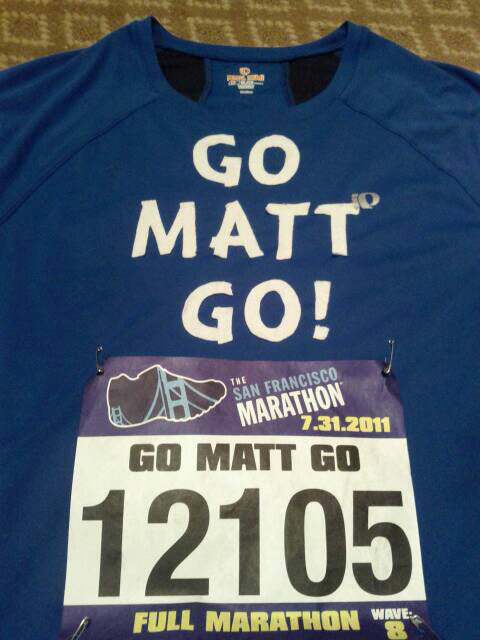 Matt Cutts of Google ran the San Francisco Marathon last weekend. He originally wanted to run half the marathon but it was sold out, so he ran the full marathon. Here is his shirt and he finished in great time. Congrats Matt!